Republicans hold 100 of 150 seats in the Texas State House. But as we’ve seen, the size of the majority isn’t as important as the acts of the members composing that majority. 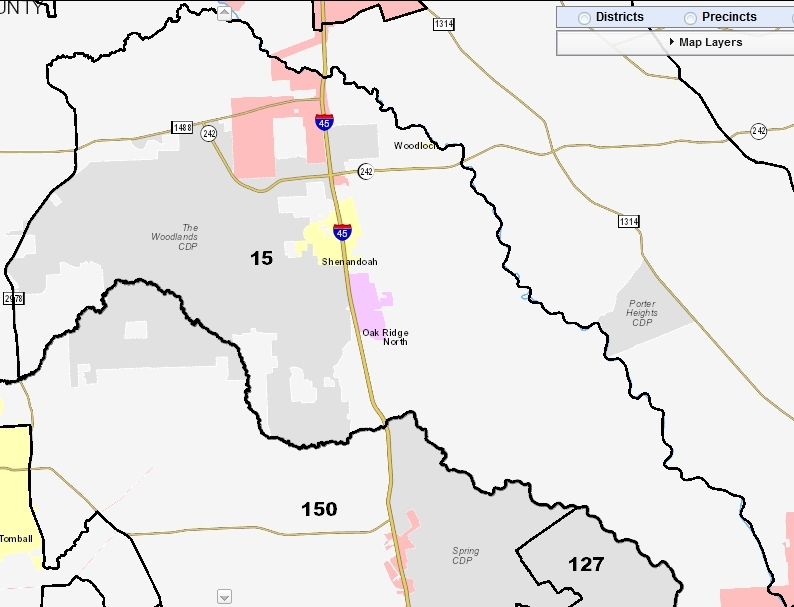 How has GOP “safe seat” HD-15 (The Woodlands) been represented in Austin over the years? GOP voters in that district can be forgiven for thinking conservative principles have guided five-term Rep. Rob Eissler. His campaign website calls him “conservative” nine times. But words, as the saying goes, are cheap; votes in the Legislature cost money—taxpayers’ money. Here’s a snapshot of Rep. Eissler’s voting scores, from several conservative watchdog groups (perfect = 100), followed by specific votes illustrating Rep. Eissler’s ideas about fiscal conservatism. HD-15 is drawn in such a way that no Democrat can win it. Rep. Eissler’s record raises the question of whether Democrats actually need one of their own in that seat. In his first term, Rep. Eissler got aboard the Trans-Texas Corridor juggernaut (HB 3588), the massive government land grab that threatened property rights and planted the seeds of Texans’ rediscovery of limited government. Rep. Eissler voted to advance HB 3 on numerous occasions, despite warnings from conservative critics. Fortunately the bill failed to get out of a House-Senate conference committee, sparing the state’s businesses from an even larger burden in the coming recession. In 2007, with the economy reeling and tax revenues uncertain at best, Rep. Eissler joined Democrats in sponsoring a bill that would have set up a six-year, dual-language pilot program. Students would spend half the school day learning in their native language and half in English. This would have substantially increased payrolls in the affected schools. (HB 2814, Adopt Conf Committee Report, RV #1985, 5/27/2007, Passed 106-34-2, Eissler-AYE) The bill passed, but failed to secure funding at the end of the 2007 session. In 2009, Rep. Eissler co-authored a bill that would have created a statewide, full-day pre-Kindergarten, a multimillion-dollar expenditure ultimately vetoed by Gov. Perry, who said state resources would be better spent on programs with proven track records that benefit more students. In the 2011 Special Session—called to pass a budget after lawmakers failed to agree on one in the Regular Session—dozens of amendments were offered to SB 1, the state budget bill. One significant change concerned sales-tax collection, requiring certain business to prepay their sales tax—essentially letting the state extract interest-free loans from businesses. An amendment was offered to strike this language from the bill, and Eissler voted to table (kill) it. (Motion to Table House Amendment 4 to SB 1(1), RV #25, Passed 81-63, 6/9/11, Eissler-AYE) Texans for Fiscal Responsibility counted this amendment vote as one of their 2011 key votes. It could be argued that Texas has endured the recession well in spite of Republicans such as Rep. Eissler, not because of them. HD-15 voters displeased by such a record get only one opportunity every two years to vote on it, and then only when there’s a credible primary opponent. Tuesday will be their last chance until 2014. Michael Smith is an activist with the Citizen Leader PAC.